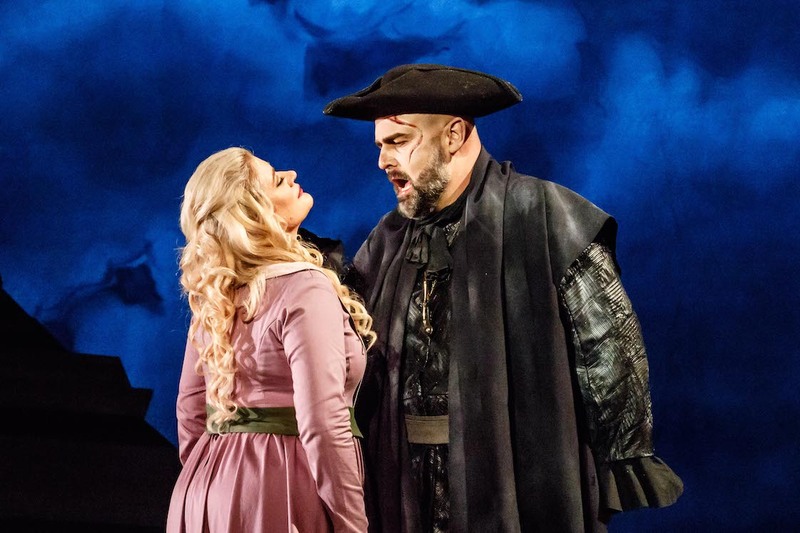 With confidence and polish that cover all aspects of production, Melbourne Opera takes on another Wagner opera, The Flying Dutchman, with further success. Whereas Melbourne Opera’s Tannhäuser (2016) was something of an experiment, the trip across Collins Street (along with last year’s visit to the Palais Theatre) is now capably and comfortably accommodated by the company. And the increased scale of production is matched by a healthy swell in the audience; the massive stalls of the Regent were filled to the back row at the opening performance, with a great many audience members sitting upstairs as well. 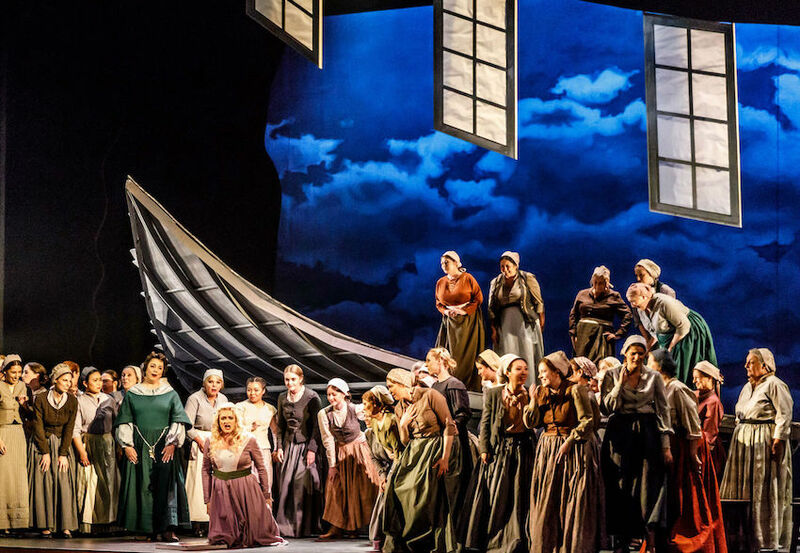 Melbourne has enjoyed a great resurgence in the performance of Wagner’s operas in recent years, a trend that began back in 2013 with Opera Australia’s Melbourne Ring Cycle and Melbourne Opera’s Rienzi. Indeed, this is the second production of The Flying Dutchman to be staged locally in four years. Opera lovers of Melbourne should be feeling comfortable, and in fact even knowledgeable, in regard to Wagner’s work at this point. The compact structure of The Flying Dutchman makes it all the more accessible, even for newcomers. 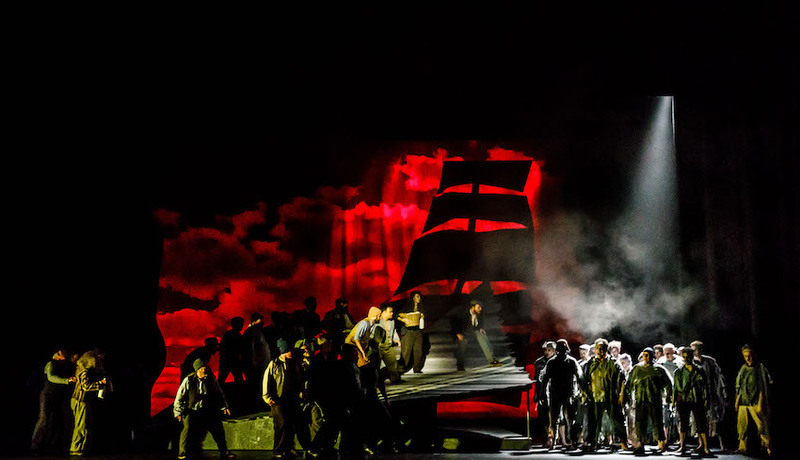 In presenting The Flying Dutchman, Melbourne Opera has done full justice to the classic work with an imaginative, carefully considered staging, an excellent cast and close attention to the music. The company has shown respect for Wagner’s original wishes by performing the opera as a single act. 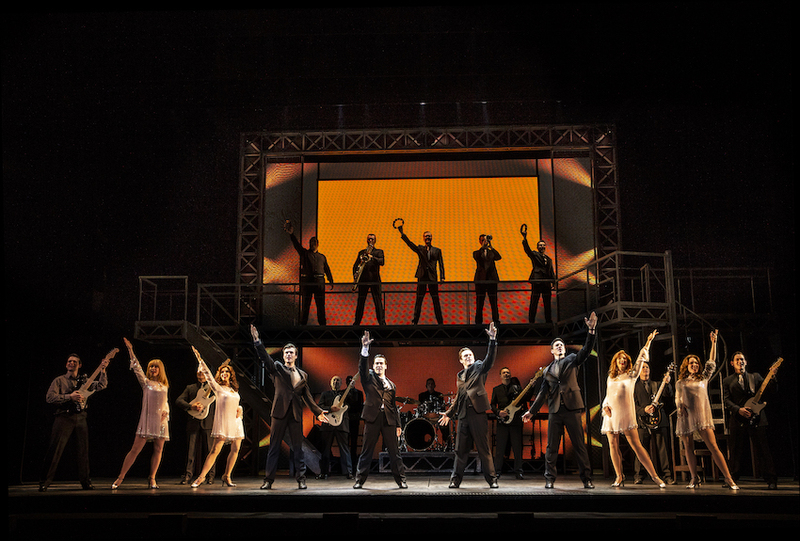 The quality of the production and music make for a compelling running time of 135 minutes. Maestro Anthony Negus, a noted international Wagner expert, leads the expanded Melbourne Opera Orchestra in a very fine performance. The music is clearly very well rehearsed, and the stormy atmosphere is conjured with great flair. 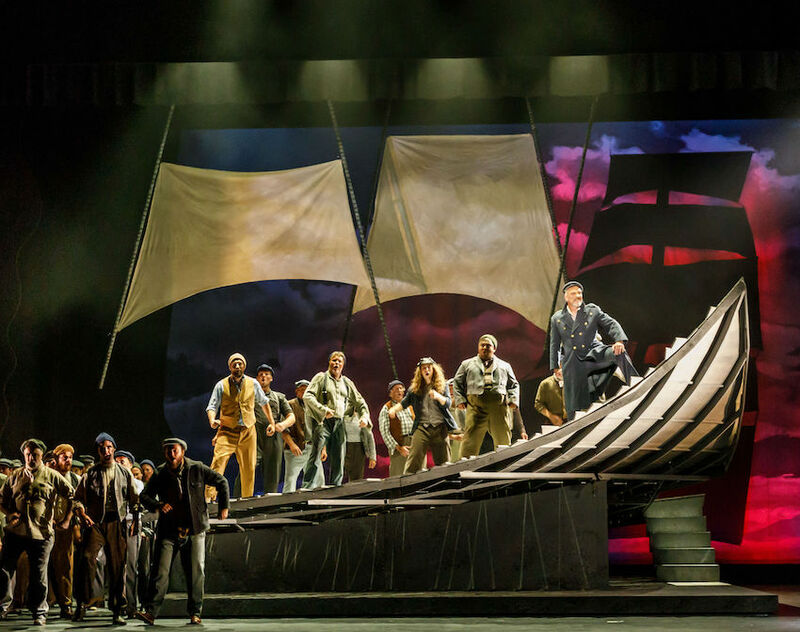 As a particular luxury, the Melbourne Opera Chorus is large enough to provide a dedicated Ghost Ship crew, a set of male singers in special make up and costumes who make an all too brief appearance towards the opera’s climax. Singing beautifully and voluminously, under the guidance of Raymond Laurence, the chorus members add to the stage merriment with simple but very effective festive choreography by movement director Verity Hunt-Ballard. Director Suzanne Chaundy places the focus squarely on the lovely Senta, interpolating a brief prologue near the end of the overture in which we see that the young woman has grown up feeling very attached to the mysterious man in the painting. A final ghostly image after the dramatic climax rounds out this concept. Chaundy has evidently worked in close collaboration with set designer Andrew Bailey to make thorough use of the large stage space. Bailey has contributed an extraordinary central set piece: a large rotatable platform that curves up to a peak like the bow of a ship. Sails are flown in for the ship of Captain Daland, father of Senta, and the dark sails of the ghost ship ominously rise from stage level. The blood red horizon that accompanies the appearance of the ghost ship is just one of the striking effects in the lighting design of Rob Sowinski. Harriet Oxley’s extensive costumes complete the handsome stage picture. In a lovely old fashioned touch, Oxley has all the women in muted colours with their hair in scarves while dear Senta sports a pristine mauve gown and luscious flowing blonde locks. In terms of props, the women’s miming of the use of spinning wheels works well enough, but it would help the scenario to have a couple of actual spinning wheels at the front. 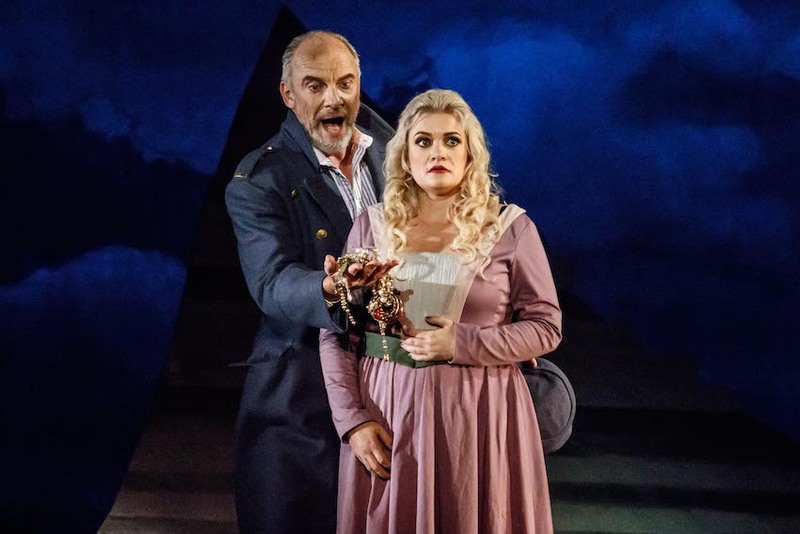 Well acquainted with the title role, English bass-baritone Darren Jeffery sings Der Holländer with well-calibrated delivery and crisp German diction. Marked with a vivid scar that curls down from his forehead, Jeffery’s characterisation of the ghost ship captain is neatly underplayed, avoiding too much human emotion for the cursed figure. The character’s one release is the disbelieving relief when he seems to have finally found the woman to lift the curse he has been placed under by Satan himself. Melbourne’s favourite soprano Lee Abrahmsen outdoes herself yet again in the leading role of Senta. Looking every bit the angelic daughter, Abrahmsen sings with delicious abandon, soaring into lush, full bodied high notes with unbridled confidence. It is a delightful performance, and one that is all the stronger by Abrahmsen’s nuanced acting, in which Senta’s inner journey is made clear and engaging. The heart of the opera is the extended duet scene between Senta and Der Holländer. Wagner’s formidable talent as a composer and librettist is at a premium in this sequence, which is superbly performed by Abrahmsen and Jeffery. Bass Steven Gallop, a singer who repeatedly demonstrates his inestimable value, is in stellar form again here as Daland, a father who has no idea of the deal he is brokering for his daughter’s hand. In a very welcome, far too rare Melbourne appearance, tenor Rosario La Spina brings ardent beauty to the vocals of Erik, former boyfriend of Senta. 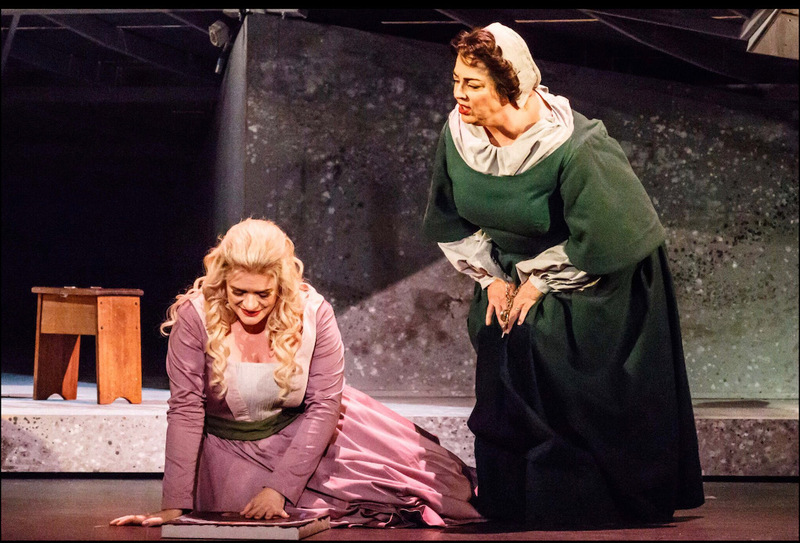 Mezzo soprano Roxane Hislop brings characteristic warmth to the somewhat underwritten role of Senta’s nurse Mary. 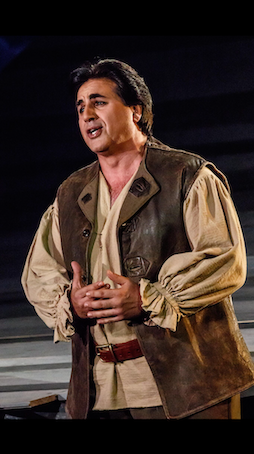 Tenor Michael Lapina brings charming appeal to the featured role of the Helmsman. In a sweet touch, Chaundy shows the Helmsman’s the reunion with his sweetheart whom he has sung about. Lovers of opera in Melbourne have every reason to attend The Flying Dutchman. The Flying Dutchman plays again at Regent Theatre, Melbourne on 5, 7 February 2019. Stunning performance from all concerned. The trio in the final scene will be long remembered. Hello Simon. 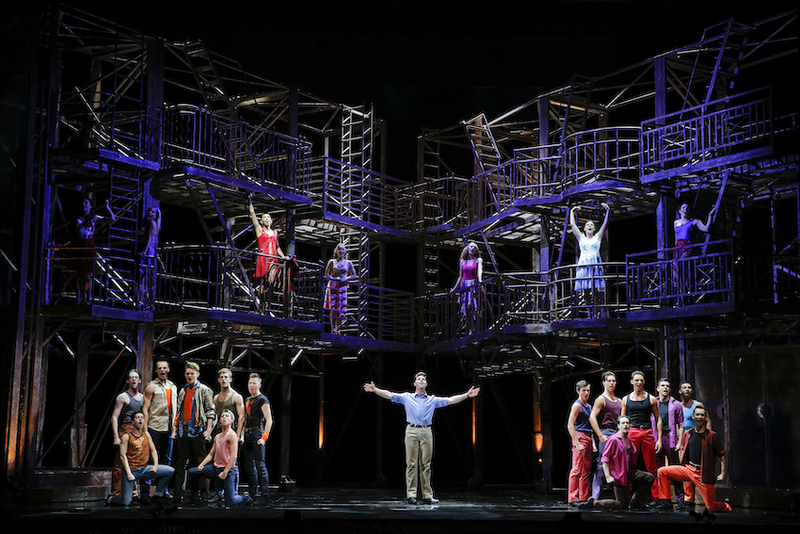 I agree with your excellent review of the opening performance; a production worthy of praise. Having attended both Melbourne Ring Cycles, I was wondering how this company would present Tristan last year but was amazed and delighted and this was reinforced with Dutchman. One little grizzle, was the stagehand getting in the way as Senta descended the stairs to join the ghost ship…it did destroy the atmosphere slightly. Regards, Christopher. Thank you, Christopher. Glad to hear that you also enjoyed the performance. We are indeed being spoilt with Wagner’s work in Melbourne at the moment. Interesting comment about the final scene – I must have been lucky with where I was sitting as I could only see Senta as she mysteriously descended from the rear stage. Perhaps this moment will be improved at the subsequent performances.